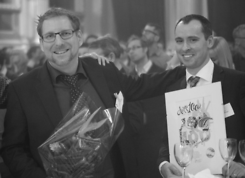 Pierre and Olivier met at HEC where they majored in Entrepreneurship. 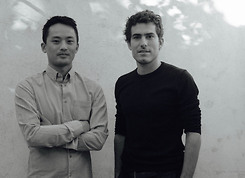 They worked together for more than 2 years at Rocket Internet, successfully launching Lazada (Vietnam) and Jumia (Egypt). Having recruited more than 300 people for Rocket Internet, they realized that the best candidates were not online and that existing tools were not able to reach them. They saw the opportunity to create a mobile application that would allow candidates to casually browse through targeted job offerings and apply seamlessly. Carole Walter and Karine Brana share a deep expertise of marketing services for retailers, having worked together at Catalina Marketing. They started the company end 2012 with the idea of bringing transparency and control for consumers on the online groceries market. Soon joined by Pierre Beauhaire as CTO and François Urbain as Project Manager, the team achieved the first launch in France of an FMCG comparison platform in May 2013. Since then, Monsieur Drive has grown to become the leading service for click-and-collect users in France. 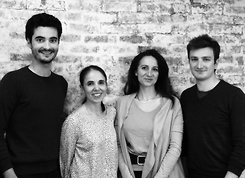 Picture from left: François Urbain, Karine Brana, Carole Walter, Pierre Beauhaire. Charles and Geoffroy demonstrate complementary skills, with Charles having 7 years of Banking experience in product management and credit derivatives, and Geoffroy 6 years in quality and performance management in the Energy and Consulting industries. 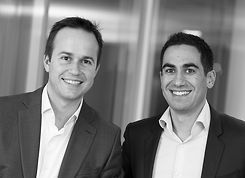 Together they started working on Younited Credit early 2009, later joined by Lionel Beaudet and Thomas Beylot. The team managed to put Prêt d'Union at the leading position in continental Europe for peer-to-peer lending while maintaining outstanding levels of quality and compliance. 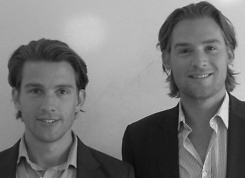 Jakob and Marc are both experienced Swedish entrepreneurs with strong backgrounds in the internet industry. 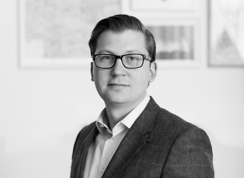 They have built companies like Domain Network (consulting) and Carambole (web-hosting) and together they've founded Compricer (online price comparison), Konstbolaget (art online) and Klikki (internet marketing agency). 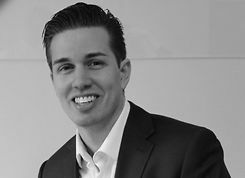 Amir, who has a background in sales and marketing and served as managing director of Market Broker, founded Bokavård.se together with Dimitrij in 2011 to offer consumers an easy way of comparing health care providers and booking appointments digitally. 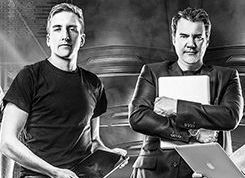 The trio started running online community forums together in 2001, and KickBack started as an offshoot to monetize this user base in 2010. The service quickly became the main focus of attention and has gone through several iterations since the inception. 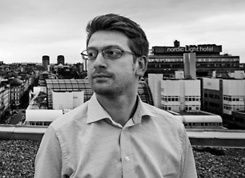 Mats has a background in interactive marketing and has previously worked for TradeDoubler, doing performance- and affiliate marketing for clients such as Apple Store and Hotels.com. 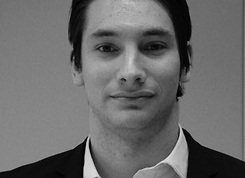 Arne is an electrical engineer and has experience designing and implementing scalable web services. 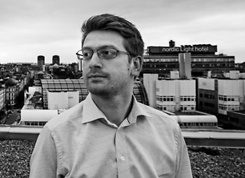 Magnus has worked as a consultant and used his degree in web communication to help companies, small and large, shape their online presence. 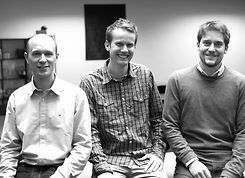 With a strong background from both the financial sector and entrepreneurship Roni, Daniel and Jens founded Fakturabörsen in 2009. The mission statement, through the online marketplace for factoring, is to help SMS's with cost effective access to capital and balance the factoring market making traditional factoring companies' obsolete in the process. Knut Tore has previously founded a successful debt collection company, Contar AS. On the basis of his experience in Contar he got the idea to create a automated service for landlords, Husleie.no. The service was launched in January 2013. 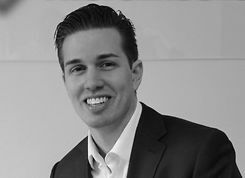 Prior to starting Contar Knut Tore had several positions in the recruiting industry. Alexander has a military training and a background as an elite athlete. 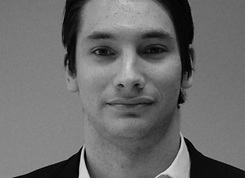 Before founding Mobilio in 2012 he spent 7 years at SBS Radio in Sweden working with sales and sales development. 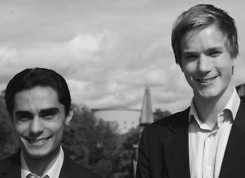 Ahmed and Magnus started their entrepreneurial path by running the project "Ungivardagen", financed by the Swedish Financial Supervisory Authority (Finansinspektionen). 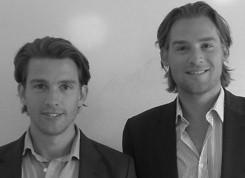 They founded FlexiDrive together in 2011 in order to help rationalise and improve the way Swedish consumers use cars. 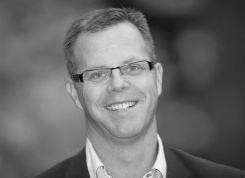 Bengt Berglund (CEO) and Stian Garthus (CTO) met while they both were working in MTG Norway back in 2007. In 2008 they decided to start up their own company, specializing in self-service ad management systems. 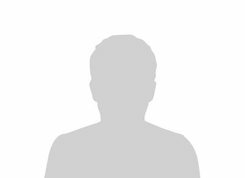 Bengt has vast experience from online sales in the media industry and Stian is a highly competent and passionate php programmer. 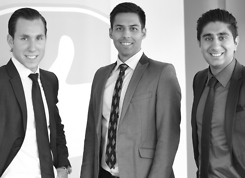 Serial entrepreneurs and friends Aleksandar, Jeffery and Vishal founded Servicefinder together in 2006, only 19 years old they set out to change the way consumers can find and interact with service providers. Lars and Alexander met at Chalmers University where they both studied. When graduated they founded their first start-up, a software business, that later was acquired by a listed U.S company. After having spent a few years in Silicon Valley they returned to Sweden and started working on what became Let's Deal, which launched in 2010. 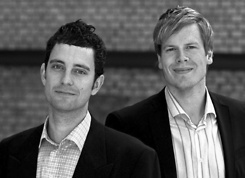 Dennis (pictured above) co-founder and CEO, launched Lendo in 2007 together with co-founders Fredrik and Thomas. 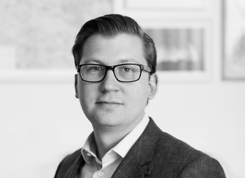 They all had experiences from both startups and established companies and had founded several start-ups and digital services individually before they joined forces to build Swedens first marketplace for consumer loans, Lendo. 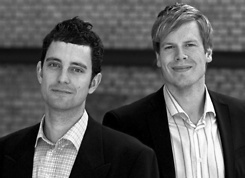 Serial entrepreneurs Joakim & Fredrik both have strong backgrounds in sales and marketing. In addition to founding Webtraffic together in 2005, they've successfully founded and exited companies with online search, outdoor advertising and online casual gaming. Jonas, who has a background in database consulting, started working on a price comparison service combined with a community in early 2000. 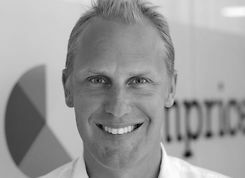 After teaming up with minhembio.com and co-founder Franz Hänel the service Prisjakt.nu was launched in 2002. Today Prisjakt is launched internationally under the brand PriceSpy in several markets globally. Maths and Lars both have backgrounds in the publishing industry. 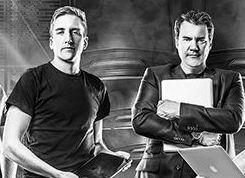 Prior to founding MiniMedia they both worked for Aftonbladet, the leading Swedish daily newspaper, where Maths was news director. Lars spent 17 years at Aftonbladet, where he served as sports director and founded the sports supplement Sportbladet.